Jorgen Hesselberg is the author of Unlocking Agility and cofounder of Comparative Agility, a leading agile assessment and continuous improvement platform. 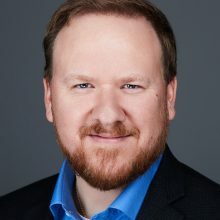 A proven thought leader of numerous successful enterprise transformation efforts since 2009, Jorgen provides strategic guidance, executive counsel, and coaching to some of the world’s most respected companies both as an internal change agent and an external consultant. He has trained thousands of people on agile and Scrum, disruptive innovation, and enterprise transformation strategy. Passionate about making the world a better place to work, Jorgen is the former director and an active member of Supporting Agile Adoption, an Agile Alliance program dedicated to supporting those who apply agile principles and practices for agile transformation. Jorgen is a frequent speaker at international industry conferences. He earned his bachelor degree in journalism at the University of Missouri, his MBA at Iowa State University, and an MS in information technology at Northwestern University. He completed postgraduate coursework in finance and disruptive innovation at Harvard Business School.